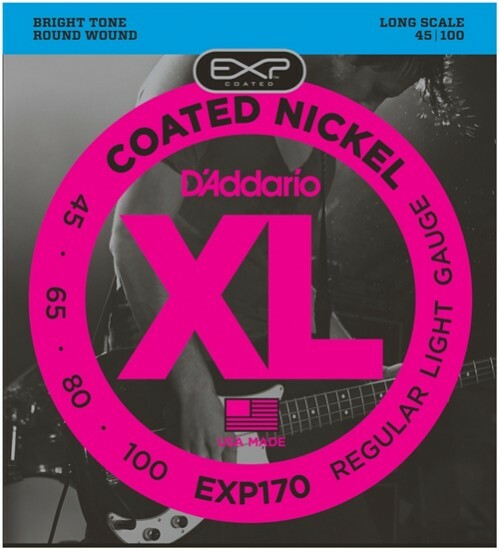 These strings deliver all the tone and performance of our best-selling EXL170 bass set in a coated string with four times the string life. Every spool of wire is tested with sophisticated laser refraction technology which measures coating concentricity to a 10,000th of an inch, ensuring unmatched consistency and a comfortable feel. The tone is clean and powerful, providing a tight, solid bottom end sound. Fits long scale basses with a string scale length of up to 36 1/4 inches.